To many of us, the garbage disposal is one of the best kitchen appliances. It not only saves you from having to scrape off every bit of food from each and every dish, but it also lets you do the dishes without worrying about small pieces of food clogging your sink drain. 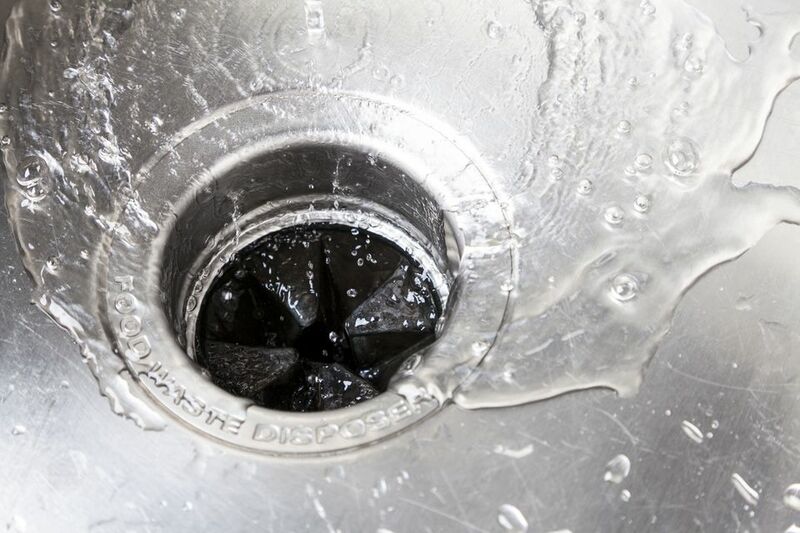 Garbage disposals are pretty simple devices so you don’t have to spend a lot of time narrowing down what you want. You can quickly select the feed type, motor size, and a few other features that fit your use and your budget. You also don’t have to spend a lot to get solid performance, but it's a good idea to buy a quality product. Better disposers are more effective and last longer than cheaper models, which means you won’t have the expense and effort of replacing it as soon. Invented in 1927 by John Hammes, the garbage disposal hasn’t changed much over the years. A classic version is little more than a plastic housing containing a motor connected to a metal grinding plate with two “teeth” (called impellers) that help break down the food waste. The plate is surrounded by a perforated metal ring called the grinding ring. As the waste is ground up, water flushes the particles through holes in the grinding ring, out through the discharge opening of the housing, and into the drain pipe. The impellers help the grinding process, but they aren’t sharp and they don’t cut up food as a blender does; rather, they and the spinning plate force the food against the grinding ring, which is stationary and has a textured surface that breaks down the material. Disposals come in two basic types: continuous feed and batch feed. Continuous feed disposals are the most common and generally the easiest to use. They are the open-mouth disposals that turn on and off with a wall switch. Batch feed disposals require you to fit a stopper lid into the mouth of the disposal to activate the unit. This makes it impossible to turn on the disposal while your hand is fishing down inside the unit. It also helps prevent accidental mishaps like turning on the disposal just as a fork is slipping into its mouth. Batch feed disposals can be more expensive than continuous feed and generally are less commonly available. The motor size of a disposal is rated in horsepower (HP). Standard sizes include 1/3 HP, 1/2 HP, 3/4 HP, and 1 HP. For most households, 1/2 HP is plenty of power, but paying a bit more for a 3/4 to 1 HP motor can mean fewer jams and smoother operation, especially if you tend to be hard on your disposal. If you don't want to worry about what goes into the disposal, lean toward a larger motor. The grinding chamber is where the action takes place. Disposals with smaller motors often have smaller chambers because they have limited torque and limited power to pulverize the food waste. Conversely, units with higher-HP motors may have larger food grinding chambers because they can handle more waste volume. Some higher-end disposals have stainless steel grinding chambers, which are claimed to be easier to clean and more durable than standard steel chambers. While there may be some validity to the claims, the walls of a grinding chamber don't get dirty—especially compared to the gunk-prone area underneath the rubber baffle at the mouth of the disposal—and there is some evidence that stainless steel chambers are more prone to damage by bones and other hard objects. Auto-reverse is an anti-jamming feature that allows the motor to reverse its rotation automatically if something gets stuck in the grinding chamber. This can help the disposal conquer tough material and prevent overloads that shut down the disposal. There's no standard sound rating system for garbage disposers (such as some ratings on bathroom fans), so it's difficult to compare models by noise level. Suffice it say that noise does vary, and bigger, better disposals tend to run quieter than small cheapies. Manufacturers reduce sound with solid construction and by adding insulation around the grinding chamber.